Nicholas will conduct the orchestra for Michael Bublé's 2019 North American tour, as well as some European dates in the fall. 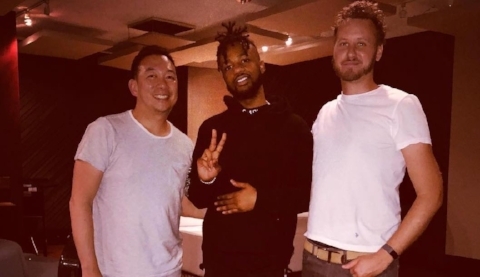 Nicholas collaborated with Timothy Loo on the string arrangements for Metro Boomin’s new record, Not All Heroes Wear Capes, which debuted at No. 1 on the Billboard 200 Albums Chart. Nicholas conducted Dustin O’Halloran’s score for The Hate U Give, which opened on October 5th, 2018 to widespread critical acclaim (it currently has 97% on Rotten Tomatoes). Francesco Le Metre, Dustin O’Halloran, Nicholas Jacobson-Larson. Director Ivan Ayr's feature debut SONI, for which Nicholas composed the theme music, will premiere at the 2018 Venice Film Festival. The film explores gender politics through the experiences of a Delhi policewoman. Nicholas will conduct two pieces at the HEAR NOW 2018 Festival of New Music by Contemporary Los Angeles Composers: IS MONEY MONEY by Anne LeBaron and EVERYTHING THE SUN GLOW by Andrew Moses. The concert is at the First Lutheran Church of Venice, Sunday April 29, 5pm. Director Ben Strang's mystery-thriller pilot BEAST, for which Nicholas wrote the score, won the top jury prize in the "Independent Episodic" category at the 2018 SXSW Film Festival in Austin, Texas. The script is a darkly-comedic reimagining of the making of the original "Star Wars" trilogy through the eyes of David Prowse, the surly English bodybuilder behind Darth Vader's mask. They were interviewed about it in issue 31 of BACKSTORY magazine (https://backstory.net/issue-31/). Read an excerpt HERE. They have multiple TV and film projects in development and are represented by Lee Stobby and CAA (Joe Mann, Praveen Pandian). REVIEW: "Jacobson-Larson's 'Story Box' is an engaging slice of the progression of creativity"
Nicholas has been commissioned, along with Gabriel Prokofiev and Giya Kancheli, to compose a new orchestral work for the Naples Philharmonic 2017 Masterworks Series. The piece will premiere March 30th, 2017, and will be conducted by Andrey Boreyko. 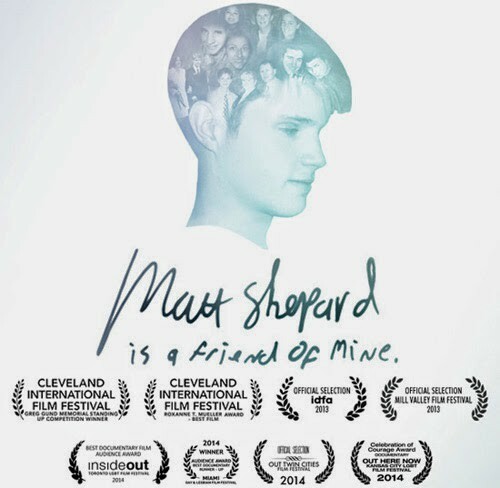 The Logo TV documentary "Matt Shepard is a Friend of Mine", for which Nicholas composed the original score, has won a daytime Emmy Award. The film, directed by Michele Josue and exec-produced by Liam McNiff, Linda Karn and Arlene McGlade, took home the award in the "Special Class Special" category. Nicholas will be a panelist on the "Maximizing Your ASCAP Membership" panel at the 2016 ASCAP Expo, Thursday, April 28 12:55pm. He will discuss his career, his work with ASCAP and his experience with the ASCAP Film Scoring Workshop. Matt Shepard Is A Friend Of Mine, the 2015 documentary that recounted the life and death of Matthew Shepard who was brutally murdered for being gay, has been nominated for a Daytime Emmy Award. Nicholas composed the original score for the film. World Premiere of Concert Piece "Fits and Starts"
The Contemporary Performance Collective will premiere Nicholas' newest concert piece "Fits and Starts," January 15, 8pm at St. Francis of Assisi Church in Silver Lake. Nicholas will conduct the work, as well as the premiere of "Everything Left to Feel" by composer Zeltia Montes. The Amazon Studios animated show “Everstar,” for which Nicholas wrote the main theme and original score, will premiere on Amazon Prime Instant Video on November 5. Naples Philharmonic to perform "The Snow Queen"
The Naples Philharmonic will perform Nicholas Jacobson-Larson and Dalton Leeb's educational children's piece "The Snow Queen" September 18 through October 16 as part of Artis-Naples' Family Concerts series. This interactive performance introduces elementary school students to the orchestra while teaching them about rhythm, melody, harmony and the families of instruments. Nicholas recently recorded trailer music at the Warner Bros. Eastwood Scoring Stage for the upcoming film, Rwanda & Juliet. After a successful inaugural concert, Nicholas has been named Principal Conductor of the Contemporary Performance Collective. 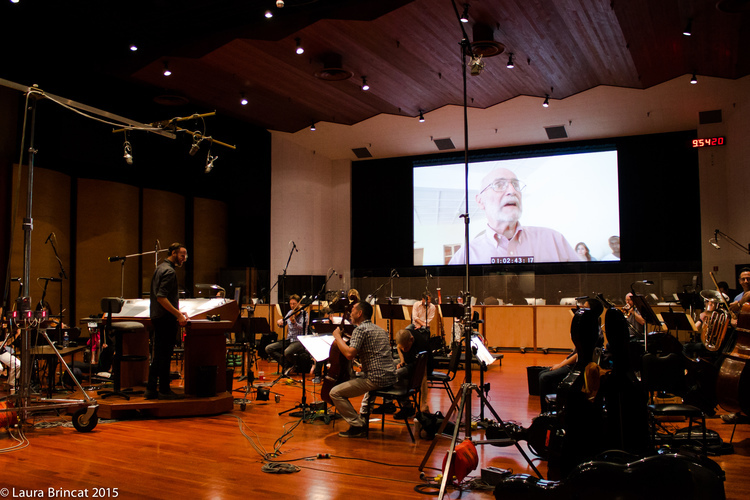 Nicholas recently recorded the score for the upcoming documentary Rwanda and Juliet at the Warner Bros. Eastwood Scoring Stage. Nicholas’ new concert piece for orchestra and narrator, The Snow Queen, was recently premiered by the Naples Philharmonic. Dawn of the Planet of the Apes opens today in theaters nationwide. Nicholas contributed score preparation to composer Michael Giacchino’s score. Nicholas recently contributed score preparation to composer Michael Giacchino’s score for the upcoming movie Dawn of the Planet of the Apes. The score was recorded during the first two weeks of May at the Fox Newman scoring stage. Star Trek Into Darkness: LIVE in Concert! Nicholas recently contributed concert orchestrations and score preparation for composer Michael Giacchino’s Star Trek and Star Trek Into Darkness: Live In Concert, premiering at Royal Albert Hall in London, May 31, 2014.